Our team of doctors can make small changes to improve the appearance of your smile when you visit us for dental bonding. Our dentists can alter tooth color and repair minor chips by hardening a cosmetic resin to your teeth. Our dentists may recommend dental bonding in order to close gaps and spaces between teeth, improve misshapen teeth, lighten stained or discolored teeth, or restore chipped or cracked teeth. We will use a shade of composite resin that matches the original color of your teeth for a natural-looking effect. If you would prefer, we can use a slightly lighter shade to whiten the color of your teeth. 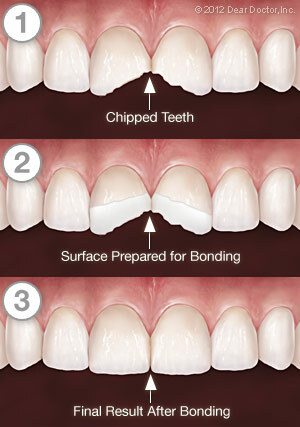 For more information regarding dental bonding, please feel free to call us today.